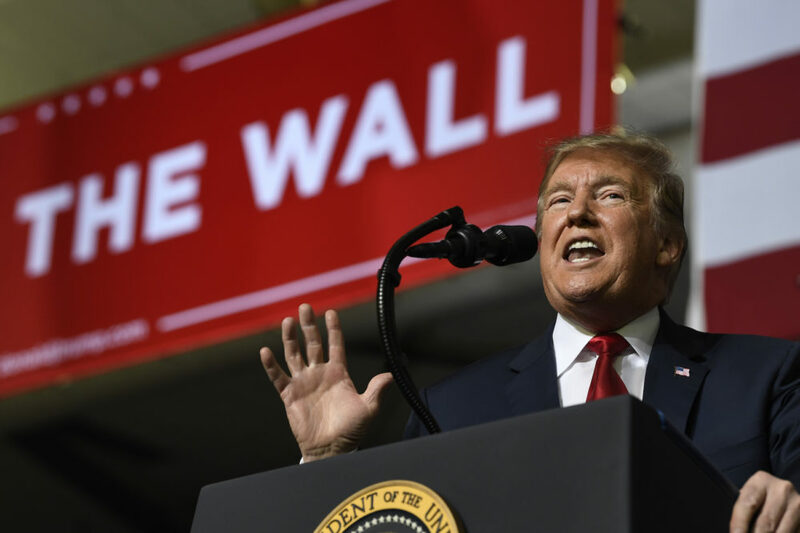 President Trump rallies for his Wall in El Paso, Texas. We’ll hear the nuanced view a city inextricably linked to the southern border. Texas Tribune: "Donald Trump and Beto O’Rourke go head-to-head in El Paso" — "President Donald Trump kicked off his first major rally of the year here the same way he campaigned during his successful 2016 bid: by unleashing a torrent of criticism on the media, pushing back against allegations of collusion with Russia, and promising once more to end illegal immigration and build a wall on the southern border. "Across the street, one of his potential 2020 rivals — former Texas Congressman and El Paso native Beto O'Rourke — held a competing rally that drew thousands of people. "The rally came as members of Congress reportedly agreed to the terms of a funding deal that would avert another partial government shutdown. Although last year’s breakdown was over funding for Trump's border wall, the impasse this week concerned bed space for detained undocumented immigrants." NPR: "'Agreement In Principle' Reached On Border Security Funding, Top Republican Says" — "Congressional negotiators have reached what they are calling 'an agreement in principle' on a border-security spending agreement. Details of the agreement have not yet been released. Senate Appropriations Committee Chairman Richard Shelby, R-Ala., says the full details will be released when the drafting of the bill is complete — a process that could be finished on Tuesday, at the earliest. "The bipartisan deal was negotiated by members of the House and Senate Appropriations Committees and will address all seven spending bills that expired during the recent partial government shutdown. The package will not include disaster relief. "Negotiators agreed to $1.375 billion for 'physical barriers' at the border — the same level that was agreed to in last year's Department of Homeland Security funding bill, according to multiple congressional sources. This will fund about 55 miles of fencing." USA Today: "El Paso braces for Trump rally, as another border community deflects images of unsafe city" — "Lyda Ness-Garcia listened with stunned dismay last week as President Donald Trump said her hometown was 'once considered one of our nation's most dangerous cities,' then announced a campaign rally here to draw support for his border wall and re-election next year. "Their message: El Paso is safe, vibrant and open for business. "'People are so eager to believe the worst of us in border towns,' said Ness-Garcia, a family law attorney and founder of Women’s March El Paso. 'We are proud El Pasoans. We will show America and the world who we really are.' "
Time: "As Trump Visits El Paso to Sell His Wall, Locals Refute His False Claims About Their City" — "Making another case for a U.S.-Mexico border wall in his State of the Union address, President Donald Trump painted El Paso, Texas, as an 'extremely' violent city before the federal government erected a fence 10 years ago. But crime statistics show Trump is wrong. "Trump is visiting El Paso on Monday for his first rally of 2019 – as he continues to try to rally support for the wall, but local leaders are calling the President out for falsely characterizing one of America’s safest big cities. "'The border city of El Paso, Texas, used to have extremely high rates of violent crime — one of the highest in the entire country, and considered one of our nation’s most dangerous cities,' Trump said last Tuesday during his annual address. 'Now, immediately upon its building, with a powerful barrier in place, El Paso is one of the safest cities in our country. Simply put, walls work and walls save lives. So let’s work together, compromise, and reach a deal that will truly make America safe.' "
This program aired on February 12, 2019.